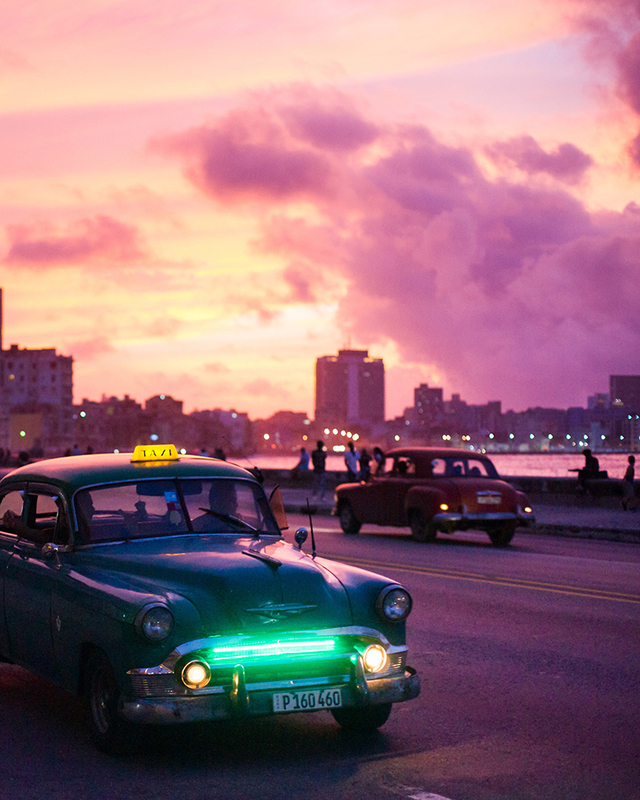 One of the most fascinating places in the world to visit right now is Cuba. Having only emerged from the grips of communism relatively recently, it’s a captivating and mystifying destination—with the capital of Havana an undisputed highlight. Be prepared though—tourism is a fairy new concept in Cuba, so your holiday may be a tad more challenging than what you’re used to. 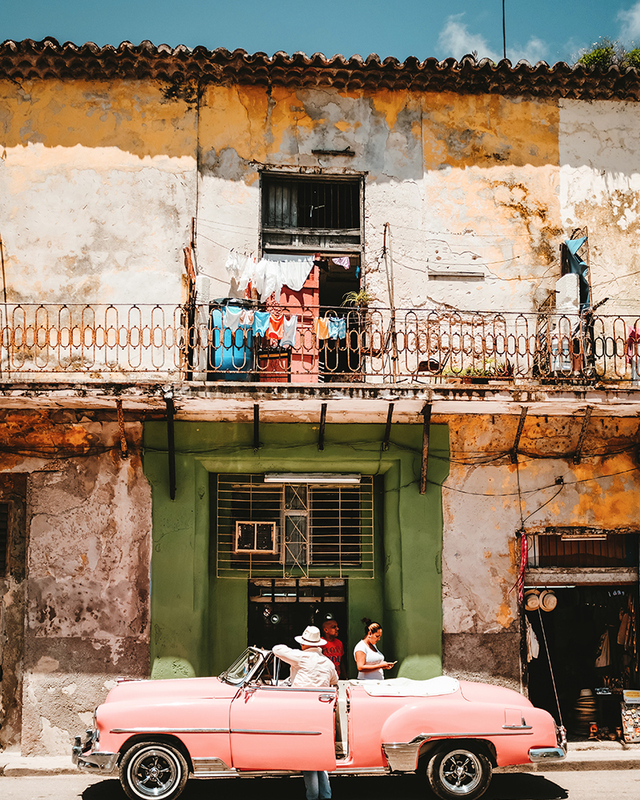 But if stunning architecture, incredible history, icy cold mojitos and traditional local music are your jam, then get yourself ready—you’re going to Havana, so here's everything you need to know before you go. If you want to be amongst the tourist action and busy atmosphere, then head to the centre of Havana—this is where all the big hotels are. If a quiet, local experience is more your style, then opt to stay in one of Havana’s ‘casa particulars’ just outside of town. These are basically bed and breakfasts, run by locals offering rooms in their own homes. Not only do you get an amazing cultural experience by staying with a local, but you also get a great start to dayyour with a huge homemade breakfast that is often included in your room price. If you’re on a budget, hit a casa particular. The ones just outside of the city centre are the cheapest, but are still charming and comfortable. A great choice is Ana Colonial. Hotel Inglaterra is a good pick for a little treat. Right in the centre of the city, this historic Cuban hotel has a beautiful sidewalk café and a rooftop bar perfect for sunset mojitos. If money is no object, then you have to stay at the five-star Hotel Nacional de Cuba. This iconic hotel was built in 1930, and then received the mother of all renovations in 1992, making it the most impressive accommodation you’ll lay your eyes on. Travellers who are not even staying at the hotel still visit just to stroll through the picturesque grounds. Most cafes in Havana don’t open until well after 10am, so if you’re willing to wait that long for your coffee hit, these are worth a visit. Located in Old Havana town, Cafe El Escorial offers a few coffee options as well as nice views. Enjoy your brew inside Cafe de los Artistas, a former old colonial house; or alfresco at one of their tables on the adjacent cobblestoned alleyway. Coffee with a twist is what you’ll get at Cafe Fortuna. The house special is the ‘cafe Fortuna’, which is coffee with condensed milk, whiskey and basil. Possibly the most relaxing coffee experience ever. As well as coffee, Cuba Libro also has a bookstore and outdoor hammocks; so why not grab your cuppa and a book and make yourself comfy in one of the hammocks? For when you need an extra strong coffee hit, order Cafe Galeria Mamaine’s famous super-concentrated Cuban espresso. Two words: peso pizzas. Havana is filled with tiny shops offering a giant slice of pizza for 10-15 pesos (roughly 50c). Stroll through the centre of town and you’ll find loads of them. Paladar San Cristobal serves exceptional Cuban cuisine for very reasonable prices. It’s so good that Barack Obama dined here when he visited Cuba during his presidency. If its good enough for Obama, its good enough for us. La Paila Fonda is a traditional eatery that serves local Cuban dishes in a beautiful alfresco setting. For an extra special dining experience, head to the luxurious La Guarida. Serving fine Cuban cuisine in an exquisite palatial setting, complete with stunning views, you’ll feel like royalty. On the off-chance brekkie isn’t included in your accommodation, you can get eggs, bacon, toast, juice and coffee all for less than five bucks from Cafe Arcangel. Fabrica de arte Cubano is an art gallery-come-bar and it’s a truly unique experience. Modern art and mojitos—was there ever a better combo? If rooftop rums are what you’re after, then head to La Flauta Magica. On the top floor of a 10-storey building, it offers sweeping views of Havana—and stellar drinks, too. Whatever rum concoction your heart desires, the mixologists at Monserrate Bar have got you covered. Saratoga Bar, the stylish bar at the bottom of Hotel Saratoga does the best mojitos in the city. El Floridita Bar was Ernest Hemingway’s local watering hole when he resided in Havana. Order the Hemingway Daiquiri—allegedly Ernest’s favourite drink. If you can spare a few days, make the trip out to Trinidad. A four-hour car ride from Havana, Trinidad is a beautiful colonial town with pristine beaches galore. Museo de la Revolucion is a truly fascinating museum which explores how Fidel Castro, Che Guevera and their political party took over Cuba. Well worth a visit. Apparently Fidel loved ice cream, so naturally, he had an enormous, multi-storey gelato palace built. Parque Coppelia is a crazy experience with loads of different entrances; various ‘salons’ where you can eat your ice cream; and queues galore. 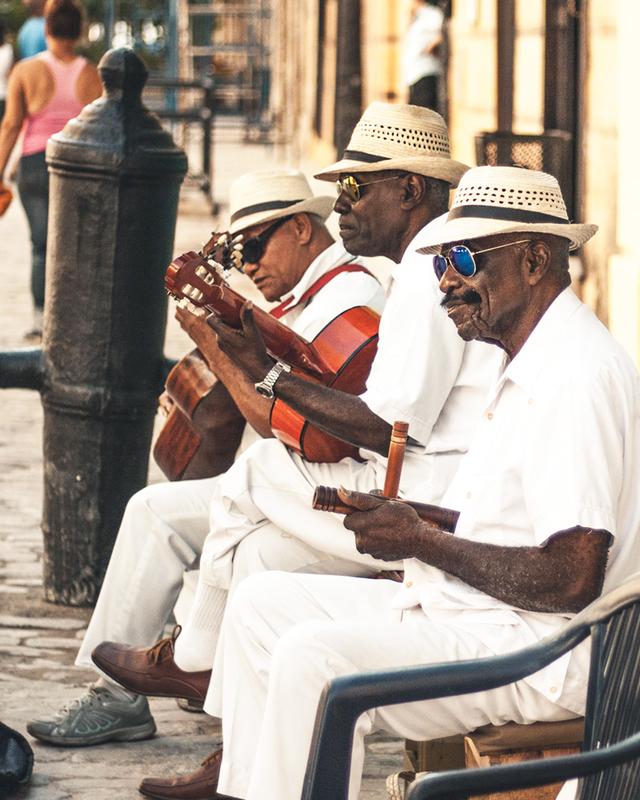 Members of the famous Cuban band Buena Vista Social Club perform regularly in a music hall near the city centre. Make sure you book your tickets in advance—it’s a very popular spot. The jewels in Cuba’s crown. If you want to buy some of the local good stuff, you can’t go past La Casa de Ron del Tabaco Cuba (The House of Rum and Cigars.) 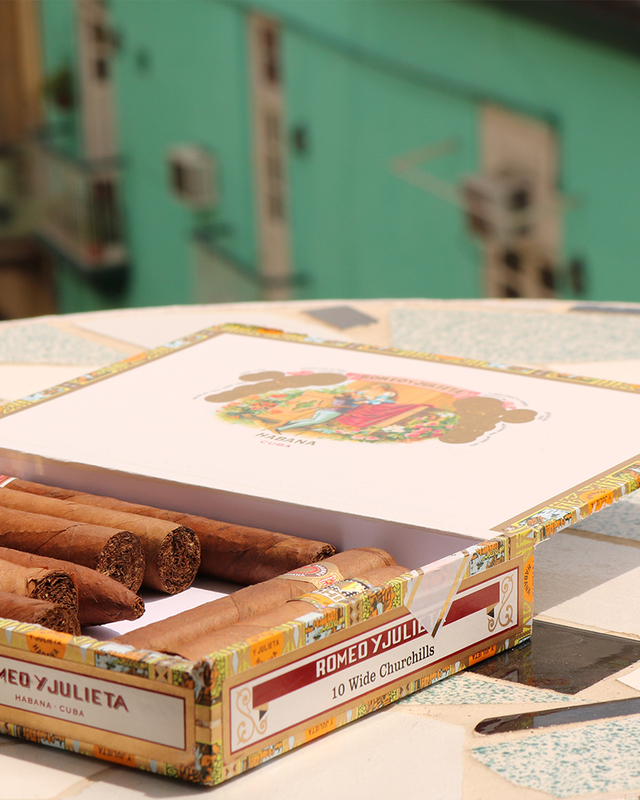 It’s exactly what it says it is—a shop dedicated to Cuban rum and cigars. October to April. The sun is out and there is very little rain, and that's all anyone really wants, right? 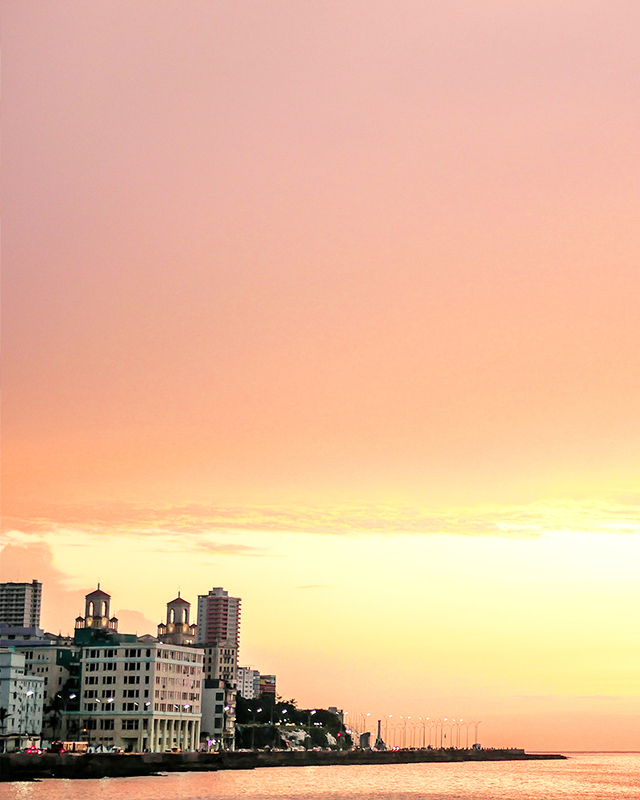 The Malecon—Havana’s waterfront promenade with vintage cars whizzing past. CUP (Cuban Peso) and CUC (Cuban Convertible Peso). Just remember to hit the ATM as soon as you land—Cuba is a cash economy. Oh and any debit or credit cards affiliated with a US bank will not work in Cuba—make sure you get a card that works. The ING Orange Everyday Debit Card is a good choice. Aussies need a visa to enter Cuba, but you can easily get one at the airport prior to your departure. Need more travel inspo? Here are 10 next level trips to do with your bestie.